My 7 year old son has been learning how to ride a 2 wheel bike. Over the past several weeks his attitude has shifted from excitement to intimidation to frustration to despondence and back again. He got in a bad mood when we suggested practicing, blamed the bike for malfunctioning, and claimed a slightly skinned knee prevented him from any further effort. At one point he screamed, “I quit!”, which prompted our older neighbor (rocking on her porch swing) to call out, “No, Eli, never give up! You’ll get it!”. Of course, he learned how to ride a bike. There was a breakthrough moment when he felt the balance, and another when he realized dad had let go for over 10 feet without telling him. But getting there was not easy, simple, or predictable. Building the skills he needed did not happen in a linear progression, and he did not get any positive feedback on his progress for 85% of the learning curve. Ultimately, he learned how to feel his body and feel the bike, and let go of trying to over-think the endeavor. Now he’s tearing down dirt paths. It’s not so different learning to be a networked, social media savvy nonprofit. Sometimes you try and try and nothing happens. Sometimes you skin your knees a bit, or get frustrated with the equipment, or feel like you don’t even want to practice anymore. In the Avi Chai Academy, the Jewish Day Schools have just completed a 3 week match campaign through Facebook Causes. Everyone struggled, everyone learned. Some had their breakthrough moment, and others did not. So they’ll keep practicing and soon they’ll find their balance just like Eli eventually did on his bike. And when they do, they’ll recognize all sorts of other possibilities now available to them, like mountain biking, and renting bikes on vacation, and entering a triathlon with a friend. Learning new things is not comfortable. We’ve all had plenty of practice studying for tests or memorizing facts, but not all learning happens in this bookish-academic-structured way. Sometimes learning is more fluid — it’s about developing instincts, or rewriting the rules of engagement or the patterns of working that we’re used to. Social media is not a memorizing-the-facts sort of learning. It’s more like the feeling the balance of the bike and understanding your center of gravity and the power of shifting your weight sort of learning. And as my son can tell you, you can expect to crash and burn at least a hundred times before you have your first ah-ha moment. And that ah-ha moment is just the beginning, it’s not the end. It’s just that little burst of confidence that you need to persevere to the next stage of learning. More important than actually learning how to ride a bike was a life lesson Eli learned about perseverance. Now he knows that he will face challenges and resistance from time to time in life. He will feel frustration, and it will occur to him that he should just give up. But now he also knows that if he just keeps at it, the breakthrough moment will eventually come. Today he asked me if it’s hard to learn how to ride a unicycle. Oh boy. Darim Online is thrilled to announce that The Covenant Foundation has awarded us a grant to work with two cohorts of innovative educational organizations in 2011-12 and 2012-13. The program will be a national Social Media Boot Camp for Jewish Educators, combining the best attributes of our Learning Network for Educators, and Social Media Boot Camps. Participating organizations will bring teams of 3-5 staff and/or lay leaders to a series of online workshops and trainings to learn about the influence of technology and social media on their field, and practical applications of these powerful tools in their work for marketing, communication, professional learning, and program delivery. Participating teams will also receive private and small group coaching and consulting to help them design and implement a technology related project in their work. Darim is seeking to build a cohort of innovative and risk taking organizations for this program. We define these terms broadly. Applicants need not demonstrate any particular level of technical proficiency or experience, but do need to have a track record of innovation and/or risk taking in some area of their work – from program design or teaching methods to communications or staffing. Interested? Complete this brief form and we’ll make sure to notify you when the application and more information is available in the coming weeks. 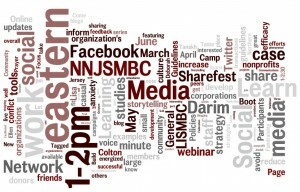 If you are a member of Darim Online’s Learning Network, you already know what’s coming up … lots of tasty webinars to enjoy this Spring: Ellen Dietrick’s session on tools for schools; the first of our A Taste Of… series featuring JT Waldman of Tagged Tanakh and Shayna Kreisler of Build A Prayer; Foundations of Social Media; Blogging for Success; Social Media Policies and Guidelines; Fundraising with Social Media; our Community Sharefest series focusing on Communications and Marketing, Eduction, and Boot Camps; Strategic Storytelling with Lisa Colton and Deborah Grayson Riegel… and more! Previous guest presenters included Monique Cuvelier, Michael Hoffman, Avi Kaplan, and Esther Kustanowitz. Don’t miss out! Interested in becoming a member of our growing Learning Network? Learn more about Darim here, then c’mon down and step this way to sign up … Memberships are available for individuals and for organizations. Questions? Comments? Ideas? Contact us!